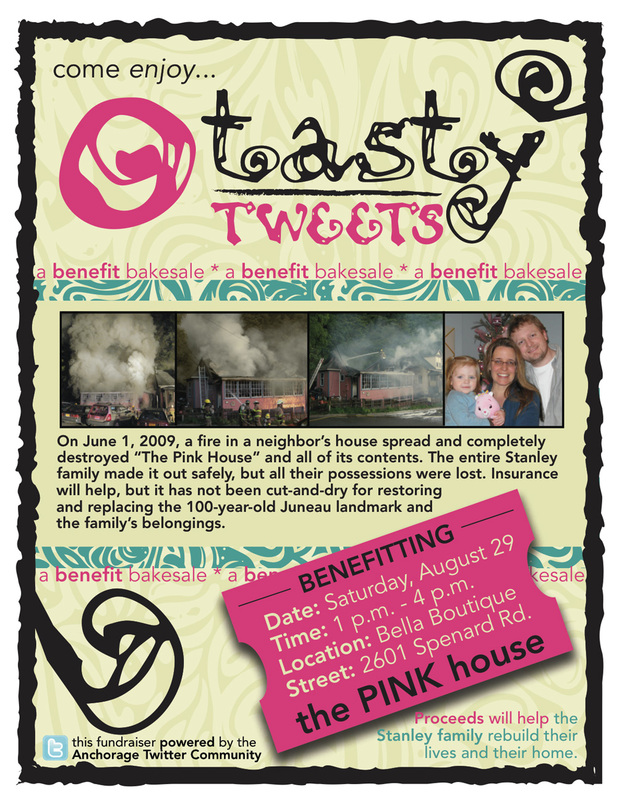 A group of Twitter users in Anchorage has come together to hold a bake sale for the Pink House. My family and I are completely bowled over by the generosity and kindness of the greater Alaskan community. Talented local bakers and businesses are donating their time and goods. Many of the Anchorage Twitter users exchange various recipes. I know because sometimes I tune into their tweets and see pics of the dishes and read comments they post. If you’re in Anchorage on Saturday the 29th and want to taste some of the yummy treats produced by these good hearted social networkers, stop by the Bella Boutique between 1-4PM.